Had Enough of Not Believing In Yourself? 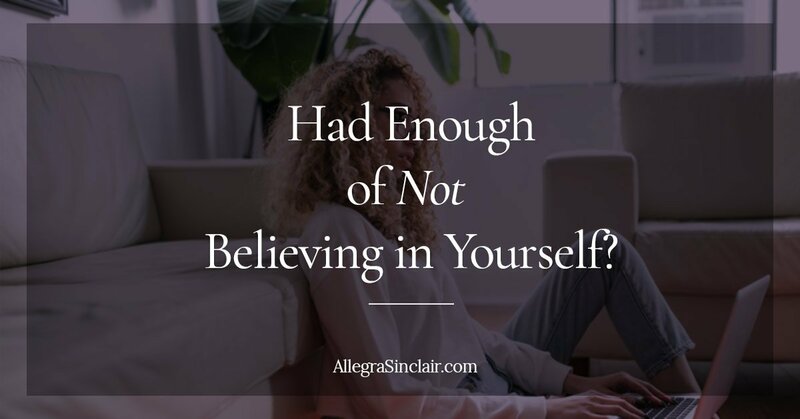 Have you had enough of not believing in yourself? Believing in yourself is often cited as the main predictor of success. But (and that’s a big but) if you have low self-esteem, it’s really hard to believe in yourself. You may struggle to step outside of your comfort zone and look for ways to improve your circumstances. You may believe that you don’t have what it takes to change your life. Or you may have an even scarier belief– that you don’t deserve a better life. You can change your life but you have to get tired of not believing in yourself. Until you get tired of that defeated thinking, you won’t be motivated to create new thoughts and consistently encourage yourself. You won’t change your life if you don’t believe you deserve better. You need to know what’s holding you back. This is going to require some honest assessment here. You probably have a lot of excuses that aren’t the real things holding you back. Why would you lie to yourself? 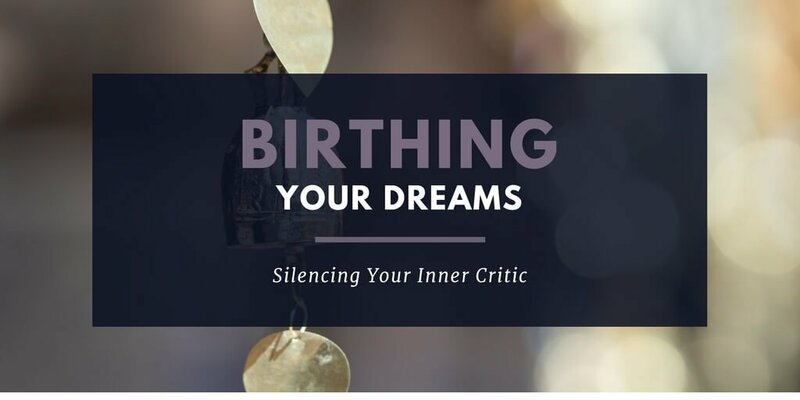 Because acknowledging patterns of behavior and shining a bright light on long-held limiting beliefs is scary. Really scary. 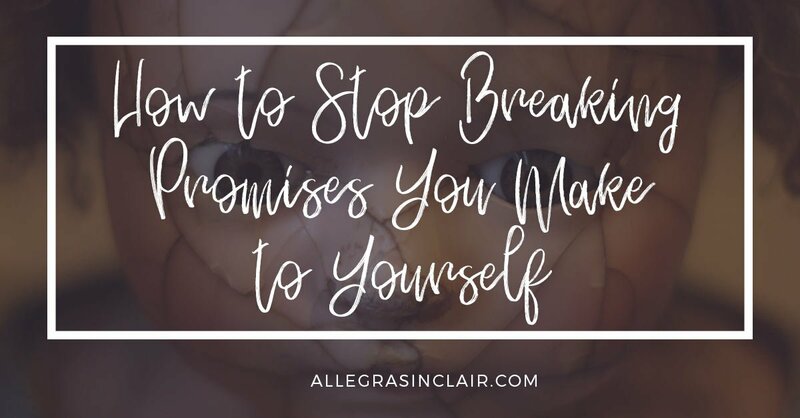 See if you recognize yourself in any of these three common self-esteem killers that can keep you from living out your desired life. Do you look around and feel like everyone else has a better handle on life than you? This is such a common feeling now, especially in the Fake Social age. Maybe your friends on Facebook always seems to have a clean house. Because if they needed to clean their house, they certainly wouldn’t have time to create all those cool crafts that they post on Pinterest, right? Your friend didn’t post their entire story, just selected highlights. If that’s the only evidence you have, it’s understandable why you would feel that you don’t compare favorably. But guess what? You don’t see what their houses look like when their kids have the flu or when they don’t have time to do any laundry. Seeing everybody else’s good days can leave you feeling like you’re a failure because you know your house doesn’t look clean all the time. When spending time on social media, you’re constantly exposed to the best side of someone’s life. You rarely see the ugly parts, if at all. It’s so important to remember this when you’re scrolling through your news feed comparing yourself negatively. If you have had enough of not believing in yourself, give your chiropractor a break and stop trying to move forward while looking backwards. The past shapes us and affects us far more than we realize. How? Negative situations in your past can make it hard for you to believe in yourself today. Maybe you were in a toxic relationship with a partner who verbally abused you. Maybe you grew up with an alcoholic parent. Maybe you were bullied in high school because you wore glasses, played classical piano and couldn’t dance. Your past can be a huge threat to your present if you don’t take action to prevent that. It can take a toll on your self-esteem and crush your sense of confidence. If you’ve been in a bad situation in the past, you’ll need to re-train your thought process. You may need the help of a therapist or life coach to help you deal with painful situations from your past that are keeping you stuck in your present. Are there current relationships with a dynamic that keeps you questioning yourself? Disliking yourself? Sometimes, other people can undermine your self-esteem. They may do it subtly by making snarky remarks (we usually recognize shade when we see it) and pretending that these remarks as jokes. They are not really joking and their snark is not funny. These toxic people may discourage you from taking action on a project you were really excited about. They may even tell you that you’re not good enough to reach your goals. That is a lie. Few things are more painful than a betrayal clothed as a friend or loved one that is unkind and unsupportive. If possible, try to talk with this person about their behavior. In a healthy relationship, there’s room on both sides for honesty. But (and this is another big but), if your loved one or friend still won’t get on #teamyou, you should consider limiting how often you interact with them. If you have to be around this person for some reason, try to have a nurturing activity planned for yourself later to help you recover from their negative energy. Now that you know why you aren’t believing in yourself, you can do work. Just like you can switch iTunes to a different song, you can change your thoughts about yourself from negative to positive. I won’t lie, it does take work and it doesn’t happen immediately. But as you begin to focus on your positive qualities, you’ll experience a boost in your self-esteem and find it easier to believe in yourself.